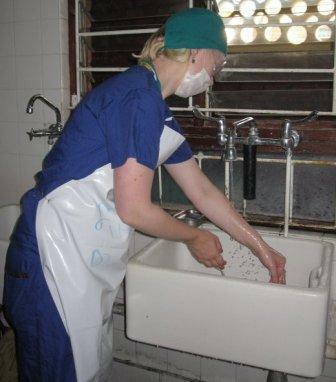 A number of people have worked in Dedza District Hospital for short periods. 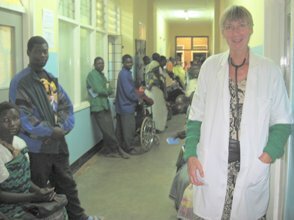 Norfolk optometrist, Julie Dean, helped to re-establish the eye clinic at Dedza District Hospital. Julie first visited Dedza in August 2006 taking second hand equipment and recycled spectacles. She trained refractionists to do testing and dispense spectacles and set up links with workshops in other parts of Malawi for the provision of affordable glasses The hospital has staffed the facility with two Clinical Officers to carry out eye tests and dispense spectacles. They also deal with eye infections and other minor problems and screen for cataracts and glaucoma. Medical students can also carry out their elective placements in the hospital. Over the years these have included Marianne Sondergaard and Carsten Simonsen from Denmark (2008), two students from Sheffield University (2009), Anna Storrs (born in Norwich) and Olivia Cleeverly (2011) and four students from Leeds University (2012). If you are interested in undertaking this sort of project, please get in touch through any of the contacts on the website. Volunteers usually pay their own travel and other costs. Other help could be providing materials that the volunteers can take with them.